As Your Local Guide to Ulster County and The Catskills, it is my honor and privilege to share with you all the best places to visit — from the the well-known tourist attractions to the hidden gems — in some of our most unique, interesting, educational and exciting cities, towns and hamlets. 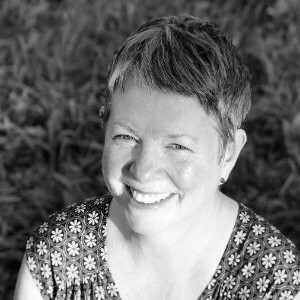 For our March edition, I present to you the Nest Realty Co. official Field Guide to New Paltz, NY, my hometown, recently featured in VOGUE, and a village in southeastern Ulster County "known for its rich, living history, dedication to higher education, breathtaking views, award-winning food and eclectic arts and culture." In this Guide, I prep you for you spring — focusing primarily (but not exclusively) on outdoor activities. Go #FindYourJoy! "I wanted to go somewhere that seemed more undiscovered — or at least not overrun by most of Brooklyn. Other prerequisites included: proximity (two hour trip max), and authenticity (ideally the opposite of trendy and curated). Some research led me to New Paltz." 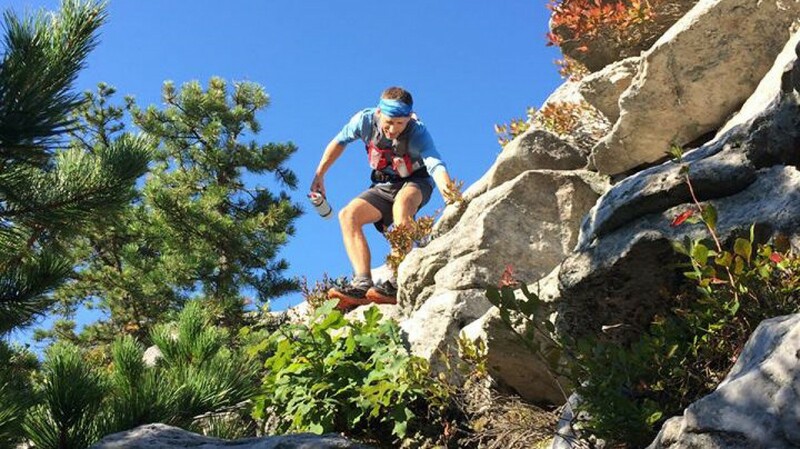 Experience the natural beauty of the Shawangunk Mountains, hiking, biking, cross-country skiing, snowshoeing or horseback riding along the more than 90 miles of carriage roads and forested trails. Perhaps the reason I live in New Paltz, and will stay for a long time, the Shawangunk Ridge serves as the backdrop of New Paltz and Gardiner. 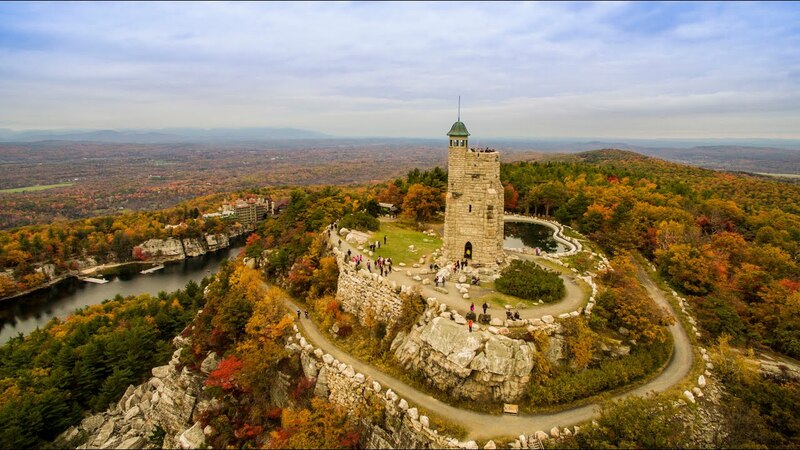 Part Mohonk Preserve and part Minnewaska State Park, the 30,000-plus acres of protected lands feature crystalline lakes, waterfalls, streams, rallies and mountain views, ideal for swimming, hiking, biking and more. 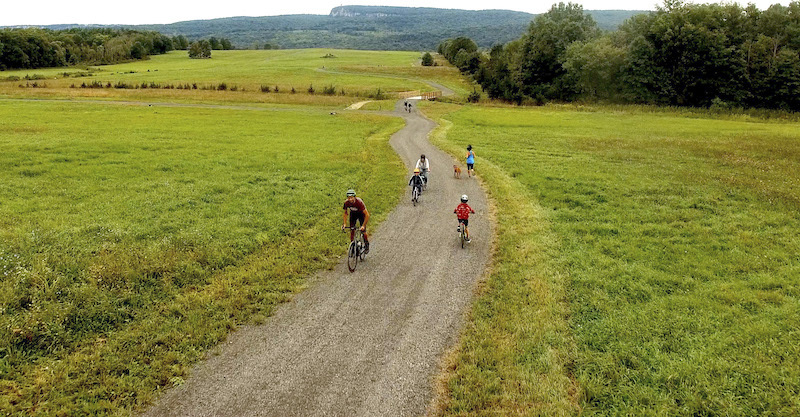 Opened in late 2018 by the Open Space Institute, the six-mile loop trail directly connects the Village of New Paltz to Mohonk Preserve and Lake Minnewaska. 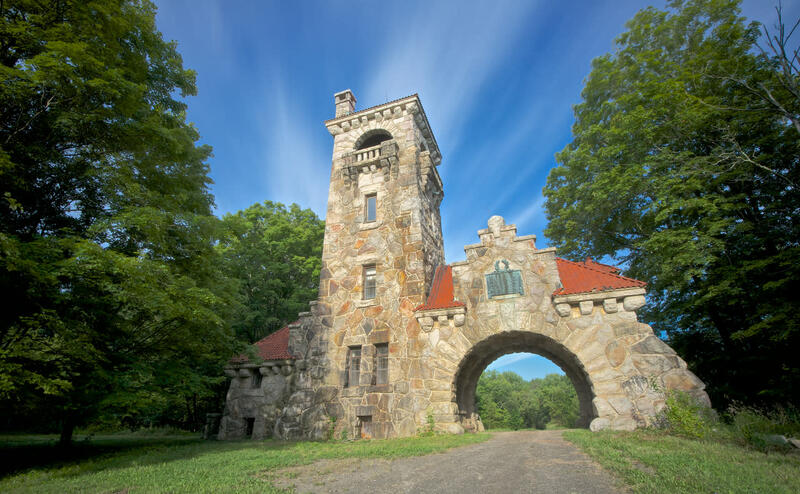 View the abandoned, massive stone archway and tower that served as the formal entrance to Mohonk Mountain House from 1908 to 1935; appeared in the 1985 cult horror film The Stuff; and will soon connect directly to Mohonk Preserve. Enjoy guided tours, reenactments and storytelling year-round, as well as special candlelight ghost tours in October, along this 10-acre stretch of beautifully preserved, stately 17th-century stone houses and community buildings constructed by the founding families of New Paltz. New Paltz is part college town, so take advantage. Home to the Samuel Dorsky Museum of Art and the John R. Kirk Planetarium, the state university offers public access to exhibits, educational demonstrations, independent film showings, and guest speakers on a plethora of progressive subjects. 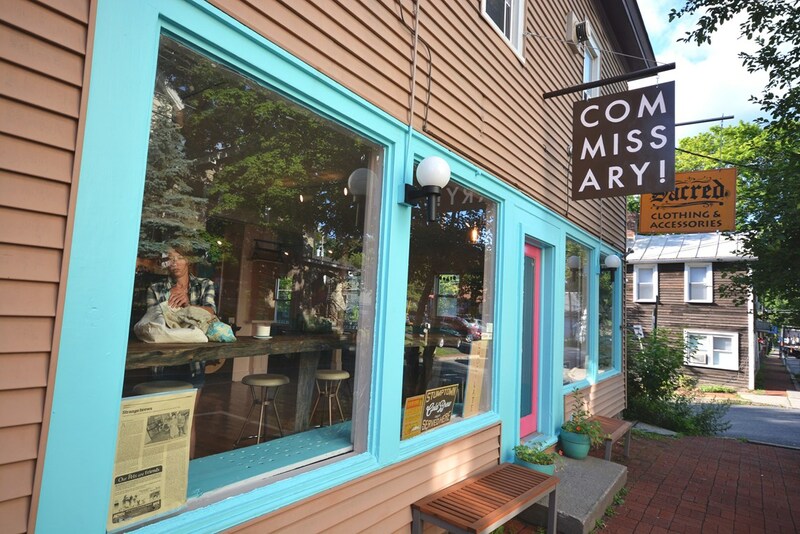 The Commissary serves the best ramen noodle soup, full of vegan wonders, every other Tuesday at 5 PM. Get there early, as it's always standing-room-only. 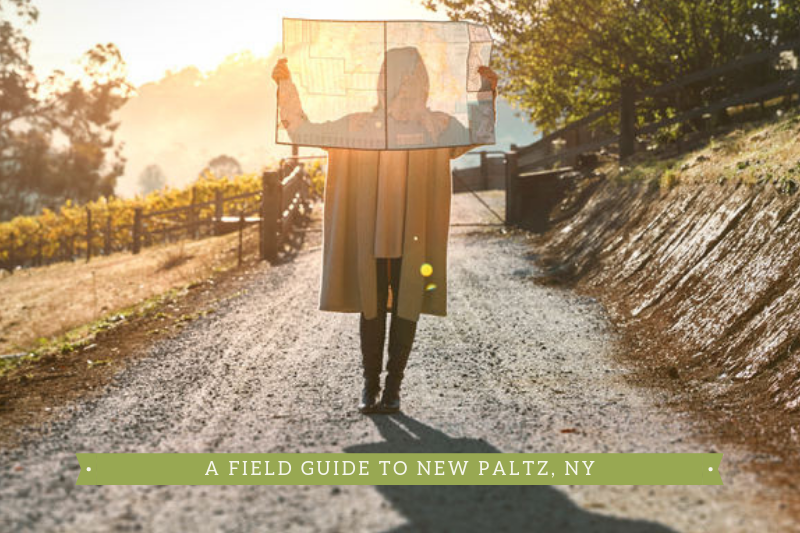 New Paltz is deserving of (a lot) more than one visit — that's why I moved here! 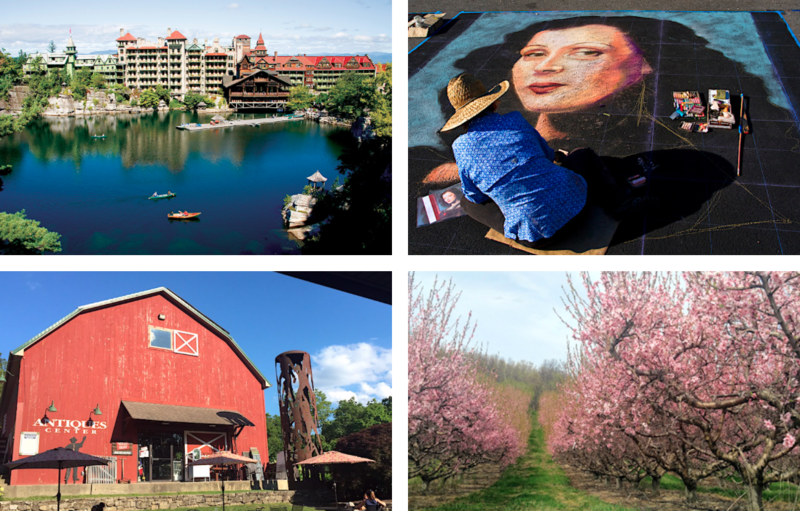 From the Village's buzzing, walkable Main Street, with its dining establishments, galleries and shops, to the golf courses, organic farms, swimming holes and wineries on its outskirts, there's always something to do — no matter the season, and irrespective of your age, gender or interests. If you've got a suggestion, leave it in the comments! As an expert on everything New Paltz and the Hudson Valley, as well as a longtime REALTOR® and the licensed broker/owner of Nest Realty Co., it's my specialty to connect my clients with the home of their dreams. I've done it many times before (just check the testimonials! ), and I can do it for you.